My parents spontaneously decided to go to Steveston so I decided to tag along. I saw some wild swans and even caught a glimpse of a sea lion!!! Totally made my day! 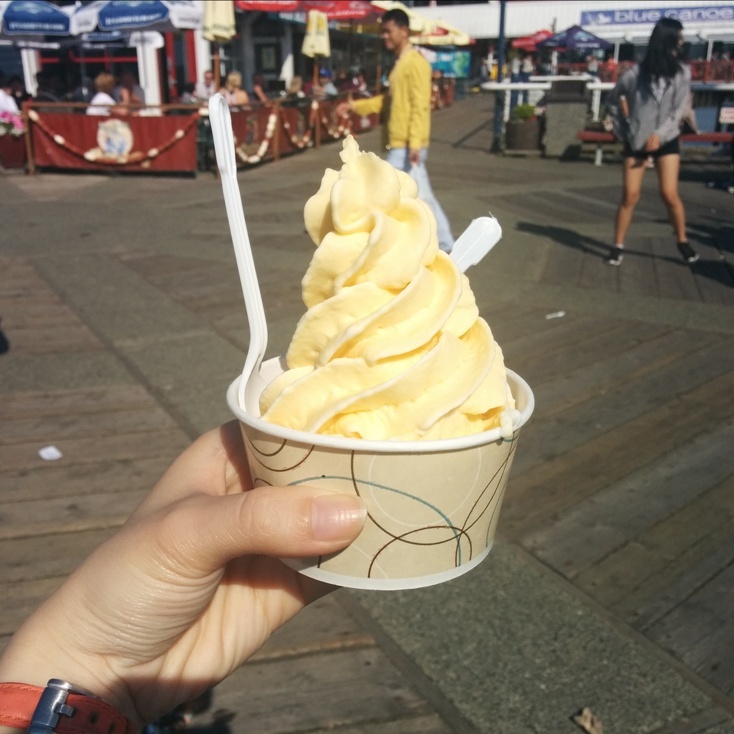 This entry was posted in Desserts and tagged froyo, frozen yogurt, mango. Oh Menchie’s! I’ve heard so much about you and finally I had the chance to visit…twice! =) Apparently it’s the largest self serve frozen yogurt franchise in the world (correct me if I’m wrong). It’s nice that they’ve opened a location at UBC since I never had a chance to visit the one near Broadway. My friend even got me a buy one get one 50% off coupon so of course I had to use that. 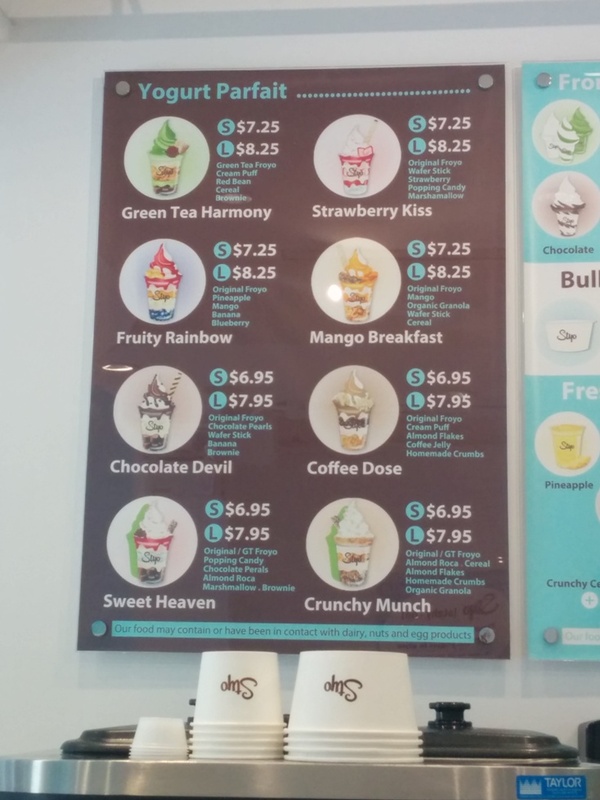 I spent a lot of my summer visiting Qoola so I was curious to see what Menchie’s had to offer. I must say that the store environment was a bit more exciting than Qoola’s due to the brightly coloured fuchsia walls and they even have their own mascot! How cute is that? Basically the ordering process was the same though since it was self serve, pick your yogurts + toppings => weigh and pay. I’m a chocoholic so I picked chocolate, red velvet, frozen hot chocolate, and a bit of butter pecan and pumpkin. Here’s another one! Did not go as crazy this time. This has cheesecake bites and cookie dough in it with lots of chocolate sauce and other bits and pieces. This entry was posted in Food Reviews and tagged candy toppings, dessert, frozen yogurt, Menchie's, Qoola, UBC. So I had just one more day before I was done exams and after going to a review session I decided to stop by Oakridge. Lo and behold, the new Qoola was finally open! It looked really new and fresh and modern (of course because it was new). When I walked in a sales associated offered me a sample and I tried the strawberry banana. They had about 6-8 flavours there. 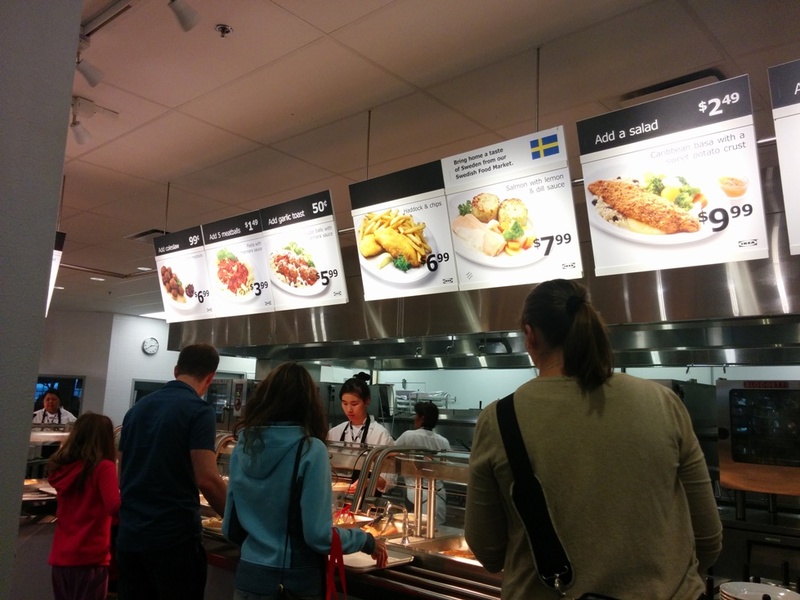 It was similar to what they offer at their other locations. I chose the strawberry banana, chocolate and mango tango sorbet. They all have about 75-110 calories per 100g? Something like that. But it doesn’t help you lose weight if you fill up the whole bowl =.=” For my toppings I picked some chocolate shavings, sprinkles, yogurt chips and mochi. They even had coloured mochi! I felt like I filled up most of my container and the total came to $5.34 so it’s a pretty good price if you don’t fill up your bowl with heavy fruits. While I was there I noticed that most of the clientele were women too. It’s definitely hard to choose between frozen yogurt here and gelato at Vivo! Gelato which is almost right across from them! Oh and Yogen Fruz but I was never a big fan of them. This entry was posted in Food Reviews and tagged dessert, frozen yogurt, Qoola.